Can you identify the girls in the photograph? 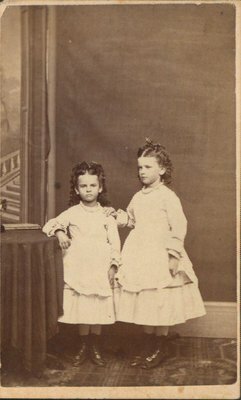 A photograph of two little girls. about halfway (20 miles) between Stratford and Walkerton. June/1970 RH.